Brush Ski Club was established in 1976 by a group of students studying at university together with a common interest – skiing and socialising. Today, Brush has 46 memberships, comprising around 150 individuals ranging in ages from 2 to 60. Many live in and around Melbourne, with around a quarter living interstate. The club was formed in 1976 when we agreed to seek a site at Hotham and in 1977 we were invited to lodge a formal submission. The club has grown since this time to make up broad array of members that give it its current diversity. As the original membership base has grown, and members have children of their own, we have elected to instil a new category of Associate membership aimed at the grown-up children of members. This move is designed to encourage their on-going association with the club. We are also embarking on a membership expansion program, covering both our full family style memberships and the Associate memberships aimed at broadening our membership base and providing the means for our next round of major improvements to the lodge and the future of the club. The club is currently managed by a committee of eight volunteer members who oversee all features of the club, including maintenance, finance, bookings, marketing and operations. We are a not-for-profit organisation where all surpluses of the club are ploughed back into the lodge for ongoing improvements and maintenance. Over the summer, we run several work weekends, with the offer open to all members to participate (members receive free nights of winter accommodation per day worked). 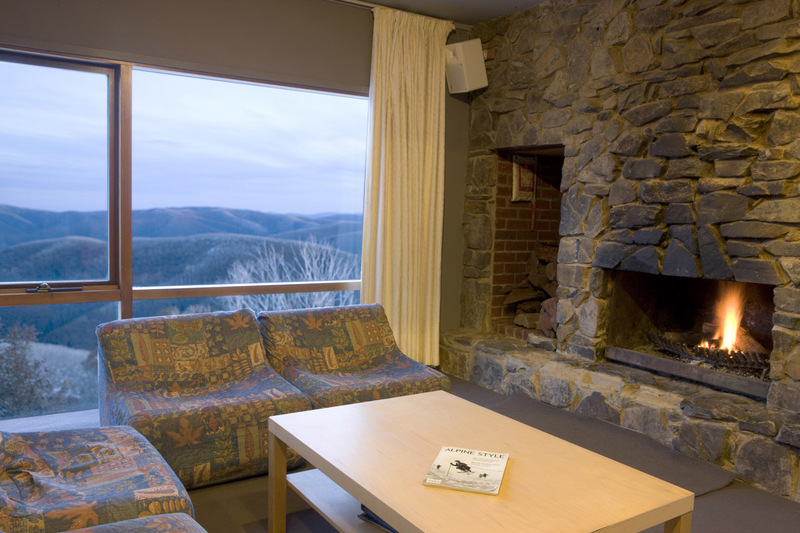 Work weekends are a great way to enjoy Hotham out of season, and many take the opportunity to enjoy some bush walking, cycling and visits to Dinner Plain Village. For bookings cancelled with more than 21 days notice, a refund will be given, less our cancellation fee of 10% of the cancelled booking. After this deadline, if the booking officer can resell the booking, a refund will be given, less our cancellation and administration fee of 10% of the cancelled booking. Cancellation due to medical or other emergencies by consideration by committee. All refunds will be issued by cheque and can take up to three weeks. How do I enquire about or arrange a booking? After checking our rates and availability, we recommend submitting a Booking Request or calling our booking officer on 1800 653 749. 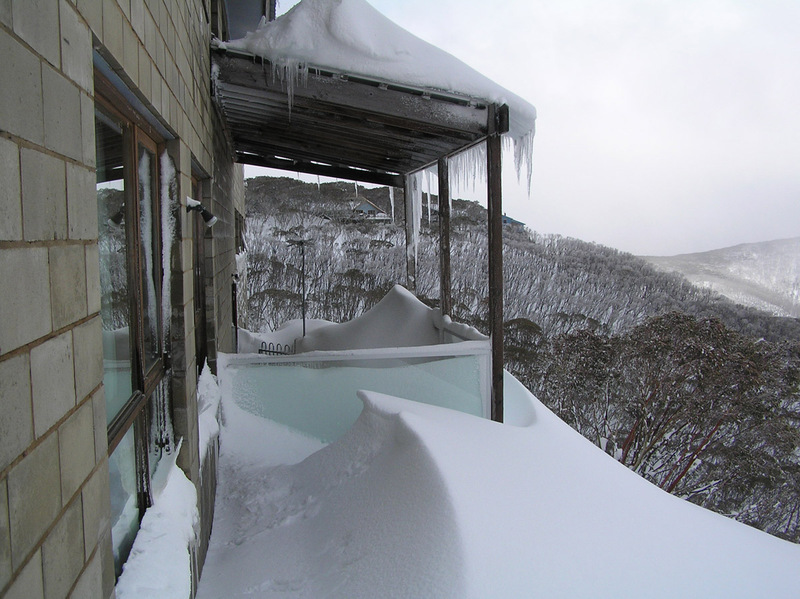 In partnership with The Mount Hotham Skiing Company, we offer a common "no-snow" guarantee for 2014, based on sufficient snow for at least three lifts to be operating. If you are coming by car, then you have the choice of arriving from the north/east via Bright and Harrietville, or from the south/west via Bairnsdale and Omeo. Both roads are fully sealed. The Harrietville approach is closer to most parts of Melbourne, and for those coming from Sydney, Adelaide and Central Victoria. It is however more exposed, and is more likely to require the fitting of wheel chains. Most people do come this way however, but if the weather reports indicate the likelihood of heavy snow-falls, then the much easier Omeo approach is recommended - as the Harrietville road does occasionally close. The resort operates a recorded message road report, and you may wish to dial it on (03) 5759 3531 to assist in your decision. Please remember that it is compulsory to carry chains when entering the resort during the ski season, and to fit them if directed. A mobile chain hiring and fitting service is in operation on the Harrietville approach during most of the season. A sign at the start of the Alpine Road just outside Harrietville indicates whether it is in operation. 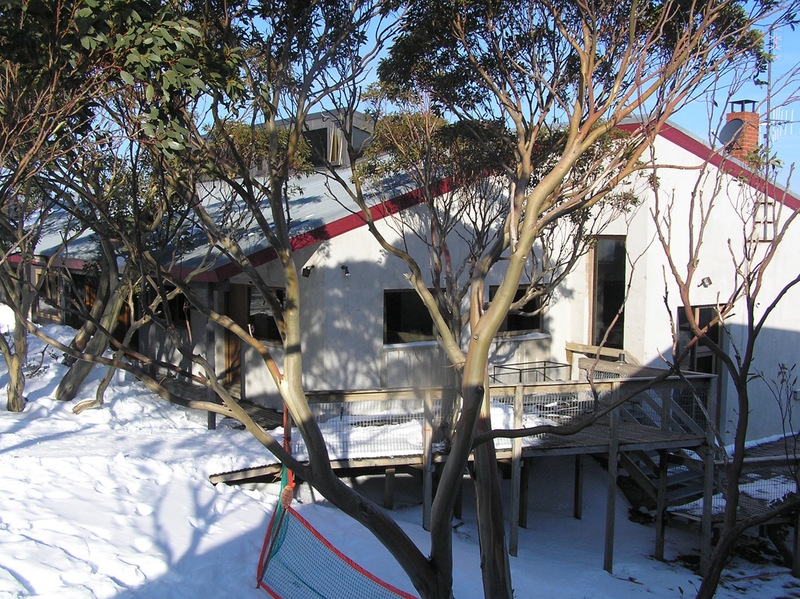 Where is the B'Rush Ski Lodge located on Mt Hotham? Brush Ski Lodge is located in the Davenport area with about 40 other club lodges. The lodge is a 3 minute walk to the ski access trail and bus stops provide transport around the village. On arrival you should park in the unloading section on the road opposite Jack Frost or the Rangers Apartments. 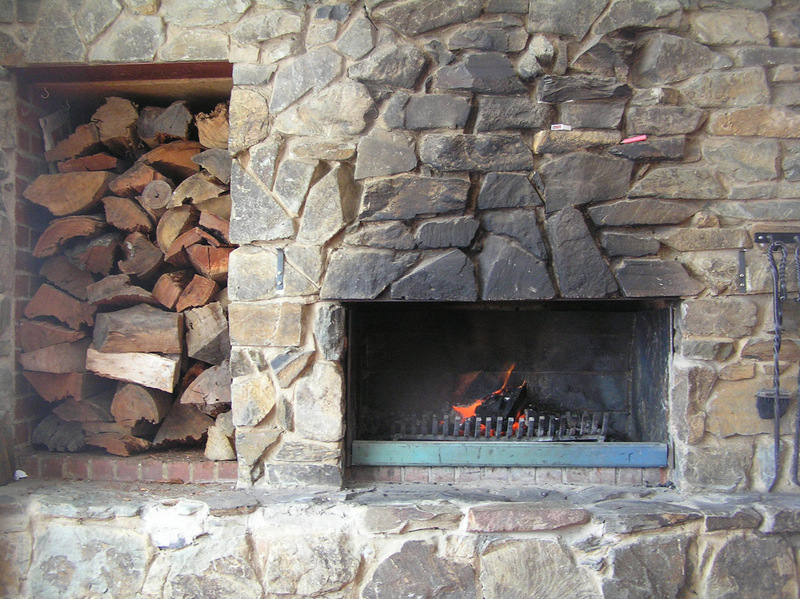 The lodge is located at the bottom of Gallows Court, which is directly behind the Rangers Apartments. Please see our "Where are We?" page for further information and map of the surrounding area. Do I need to bring any bedding or linen for my stay? You will need to bring your own bed linen and towel. We have covers on all of the doonas to protect them. However we still ask that you bring and fit your own doona cover, bottom sheet and pillow slip (or two sheets if you don’t own a doona cover). Double beds have double sized doonas, and single beds have singles. Linen (per bed, including towel(s)) may be hired for $15 per set for a weekend (minimum hire), or $40 for 7 days, but must be pre-booked. Please select as an option on out booking site, or let our booking officer know, when booking your accommodation. Washing machines, powder and a dryer are available for guest use any time. How are the guest rooms arranged? The lodge has 8 guest rooms offering a variety of sleeping arrangements - shared semi-private rooms with double beds, double beds with kiddie bunks above, private family rooms with a double bed and bunk beds and all bunk accommodation. The rooms are carpeted, heated and separated from the living areas. Doonas and pillows are supplied. You need to bring sheets, doona covers and pillow cases. Note: shared semi-private room means a shared room divided by a large robe - optionally contact our booking officer to book out the room fully to make private. 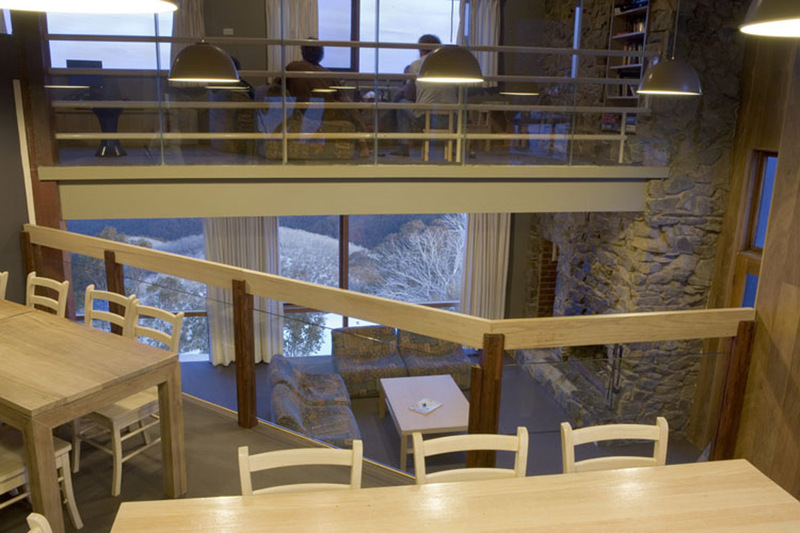 Our cooking and eating facilities enable numerous people to cook and dine simultaneously. The kitchen has two fan forced ovens, microwaves, induction hot plates, dishwashers (with powder), and all cooking requirements. A continental breakfast of juice, cereals and toast, with tea, coffee and basic condiments supplied in winter. Each room is provided with fridge and exclusive cupboard space for your food and drink. 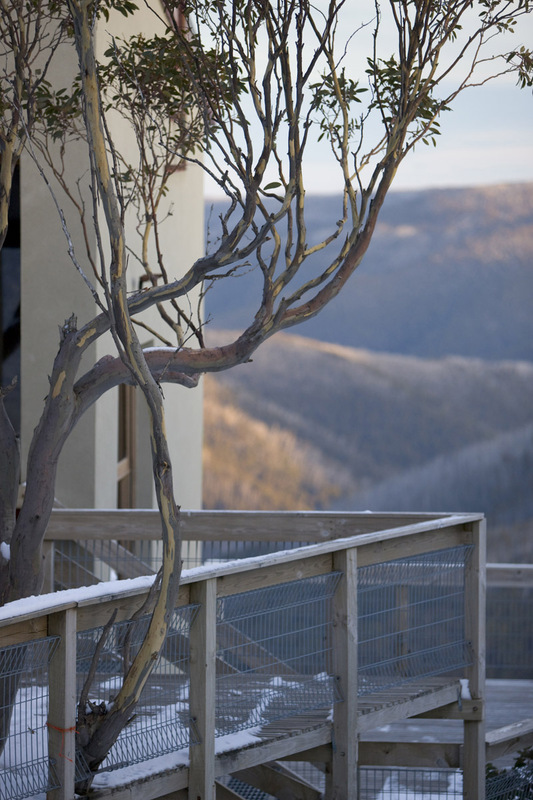 What lodge facilities are available after a days skiing? 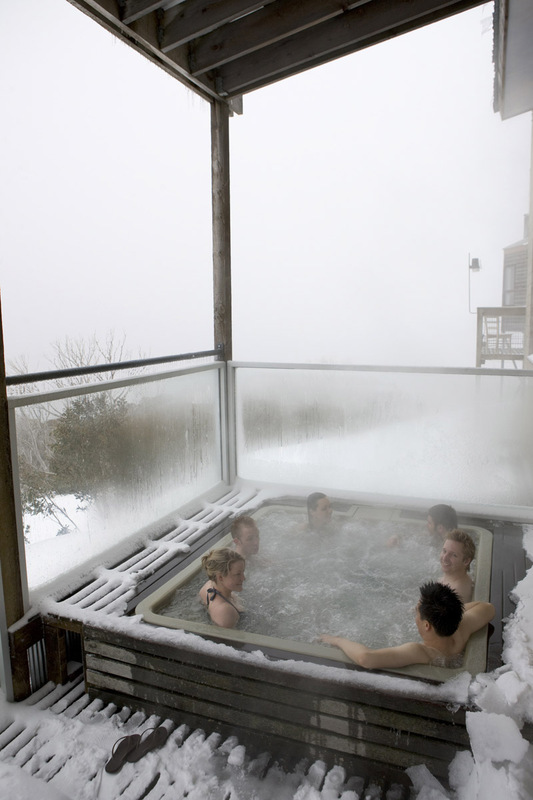 Apres ski is catered for with our fabulous spa (don't forget your swimwear! ), sauna, open fire, stereo system, wide screen digital cinema and free guest internet (Wifi & LAN).